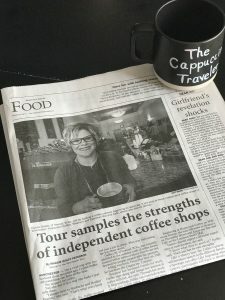 Who is the Cappuccino Traveler? The beginning of my love for Coffee. 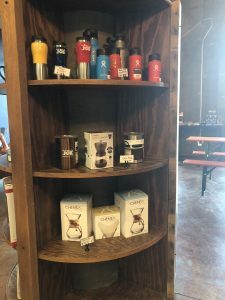 Must Have Gifts for the Coffee Lover! 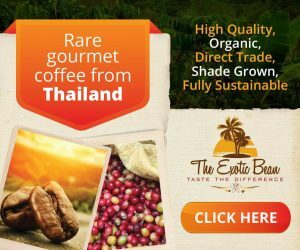 Top Holiday Gifts for the Coffee Lover! 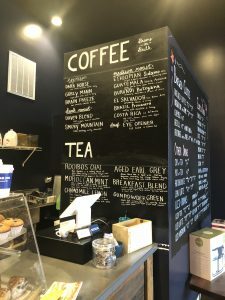 When I explore local coffee, it is more than just good coffee that I seek. It is the experience. And while I always hope for good experiences, sometimes the barista might just be having a bad day. 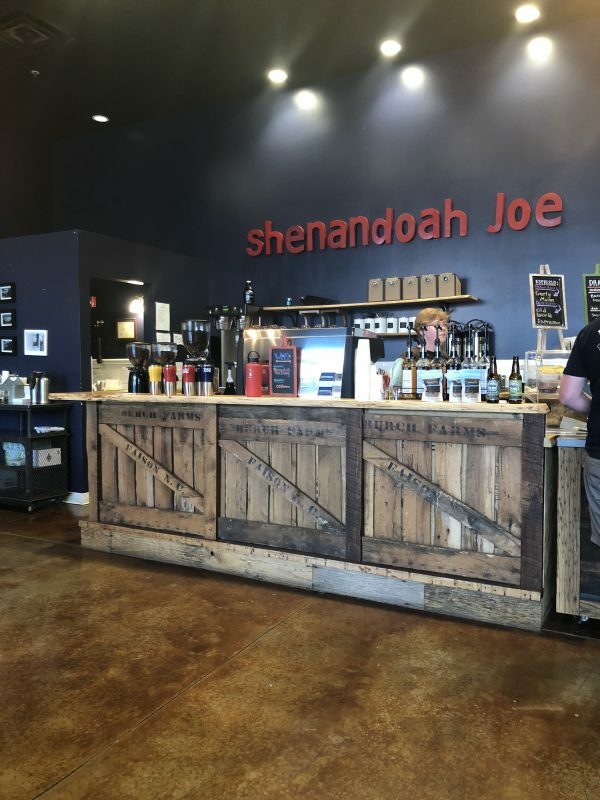 I first visited Shenandoah Joe prior to a doctors appointment that I had in Charlottesville, Virginia. It was a quick stop and sadly, very disappointing. Both drinks I ordered were far from my expectations. That was over two years ago, I let it go and moved on. Fast forward months later to our family vacation in Harrisonburg Virginia. 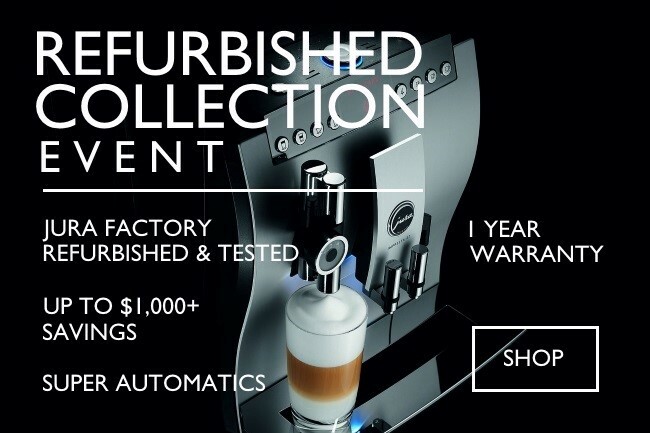 I began searching for local coffee near me. 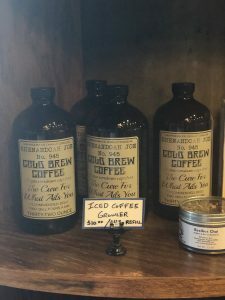 I saw there was a Shenandoah Joe nearby and frankly, I was hesitant. BUT, the space looked so awesome that I couldn’t resist giving them a second chance. I decided to take my mother in law with me. She is a tea drinker and this would give me the opportunity to create a well rounded opinion of Shenandoah Joe. 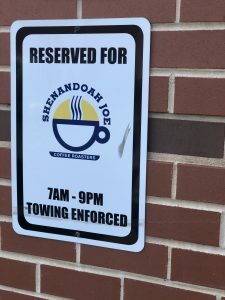 First, as I pulled in I noticed they had signs that said, “Parking reserved for Shenandoah Joe Customers”. Okay- love that – great first impression! Walking in, the space is large and open. 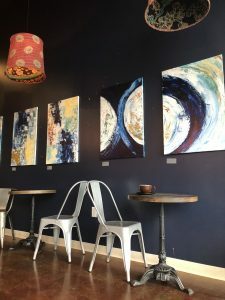 Navy blue painted walls are covered with local artwork. I loved the feel of the space, comfortable and artistic. 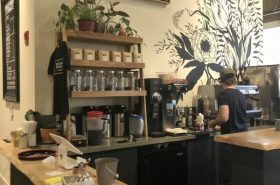 There was a variety of seating, from comfy chairs to workspaces and a shelf in the center of the room that housed coffee brewing items for sale. I ordered a cappuccino and my mother-in-law ordered a tea. We selected a comfy chair to sit and chat. My cappuccino was a beautiful pour….and tasted great! The baristas were super nice and sweet. SCORE! I am SO glad I gave this place a second chance! 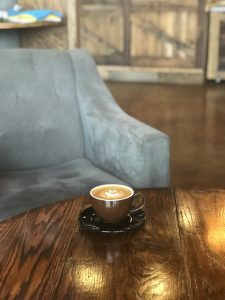 It was such a great experience and this coffee shop makes the blog! 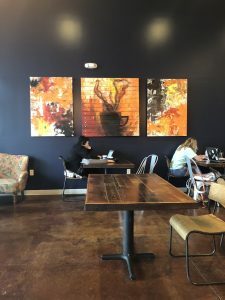 (I only post reviews of coffee shops that are great and that I recommend to my readers.) I loved the drinks so much, I ordered a second one to go! 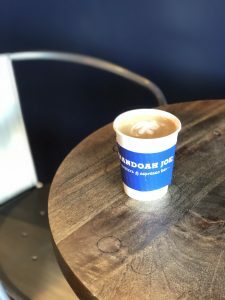 Add Shenandoah Joe to your list of local shops to visit when in Harrisonburg, Virginia.! That is awesome for Second Chances!!! Its cool that their walls were in Navy Blue. Awesome pictures as well. Wow. 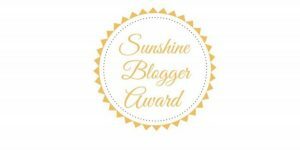 I love reading your blog posts and how detailed you are. It allows me to see if it would be a place i would check out. 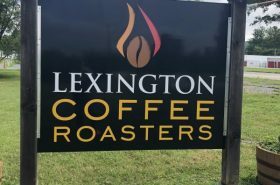 I love coffee and team so this place is a must for me to check out. Love the pictures and how cozy it looks. This place is such a nice size AND a great menu! I’m so glad you gave this shop another chance and that they didn’t disappoint you twice. 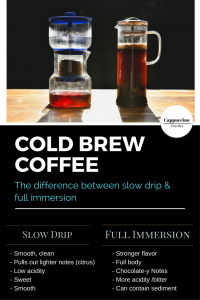 Sometimes our local shops have trouble with consistency and it depends on the baristas. This is a very good point, especially bring on new people. BUT, I think the owners should really provide more training. I’m so glad to hear your opinion was changed and you had a better experience! That place looks neat! 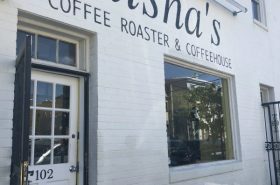 It is a great place and I am so glad I tried them again! Oh, that’s interesting…..Yes and hopefully you will have a great second chance visit too!